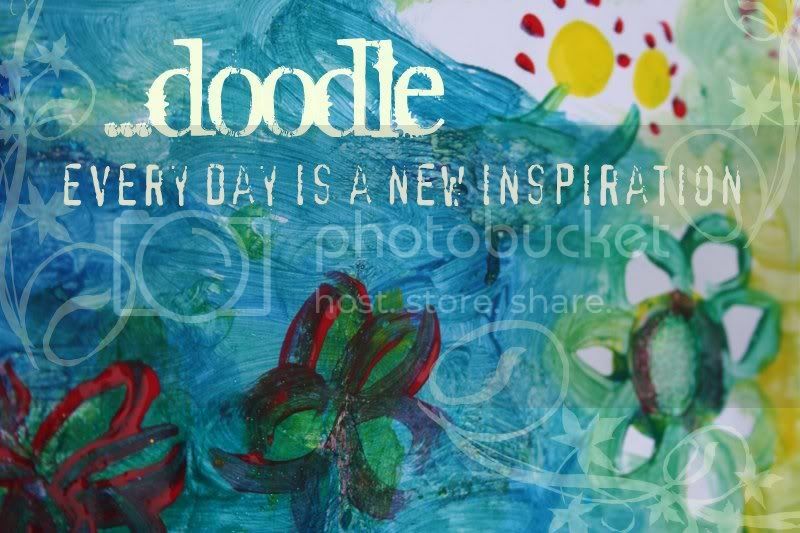 Originally uploaded by mama's doodles. Today is my birthday (33!!!) and we're headed out to a celebratory dinner. I'm happy to report I've been very spoiled today and have a spa visit in my future! I smell good, I've got new clothes to wear, flowers on my counter, and I even slept in until 8:00. My husband whizzed Kenzie out for a donut before I even heard her awake. She came back a whirlwind of sugarified energy - but I'm not complaining. To dinner, I have no idea what Mama is going to wear - but Kenzie is wearing this. 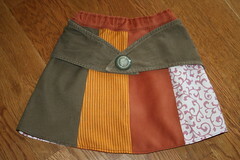 It's another skirt, made of recycled bits of my clothing (and other fabrics). No pattern, only the imagination to follow. She'll be adorable in it, but is still snoozing away. Blogger wasn't cooperating today (imagine that), so I outsmarted it by going through flickr!!! Hap hap happy birthday Stacy. Have a great one my friend. Happy birthday, Stacy! Hope you had a great dinner! I wold really like to write in English (and of course Norwegian) in my blog, so that you to could understand it. But Im embarassed because of my lack of knowledge in your language...But I guess I could try, maybe you will then tell me if I have written something horribly wrong? Hehe!I love Kenzies new skirt, really cute! Happy Birthday! I hope you had a fabulous dinner. That skirt is adorable. I wish I were motivated to make clothes for my kids, but when their closets are stuffed with hand me downs, it's kind of hard to be inspired. Happy Birthday to you!! Happy Birthday to you! Happy Birthday dear Stacy!! Happy Birthday to you!! Now just image someone with a nice voice singing that to you!! I hope you had a wonderful birthday with many more to come!! Just remember age is just a number, you don't have to act that number!! Yep, I'd wear that skirt if it was my size! Very cute. And I appreciate that it is made of scraps. That is fantastic! Happy belated birthday! Your work is wonderful! Love this skirt and would wear one too (if it fit) hee hee. And so cool that you recycle clothing. Btw, are you familiar with this person? http://www.littlebrowndress.com/ This was a big deal in Seattle over the summer. Thanks for sharing your creations!